If you have a Facebook account, check out the recent posting from the Grand Lodge of Scotland, entitled "The First Speculative Freemason." The accepted holder of that august position has long been said to be Elias Ashmole, but this article points out that he "was not the first Speculative Mason. Nor was he the second, third, or even tenth!" The belief that Ashmole was the first Speculative Freemason is based on the argument that Ashmole was not a stonemason and did not (apparently) join a stonemason's Lodge. However, this argument does not hold water simply because it presumes that a stonemason cannot also be a Speculative Freemason. Whilst a stonemason erected buildings during his working day when he went to his Lodge in the evening he did not 'build' anything, nothing physical at least. Why being a stonemason meant he could not be a Speculative Freemason is not explained by those using that argument. The enclosed is an extract from my lecture "A History of St John Freemasonry" and indicates my own thinking on the operative/ speculative journey at least in Scotland. 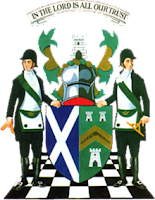 For greater detail I recommend Prof David Stevenson's excellent "The Origins of Freemasonry Scotland's century 1590-1710". was his own architect: building his own life and assisting in the design and building of his fellow man. Kipling's "Gods of the Copybook Headings"
"Freemasonry In Black and White"
Fake Freemasonry: "The Virtual Grand Lodge"